By purchasing an electronic version of the game or add-ons, you buy only the key. The game is downloaded and installed directly through Origin. To do this you must register an account in the Origin. 1. Start Origin (Start> Programs> Origin) and go to your account. 2. Select the item "Redeem product code" in the menu "Origin". 3. 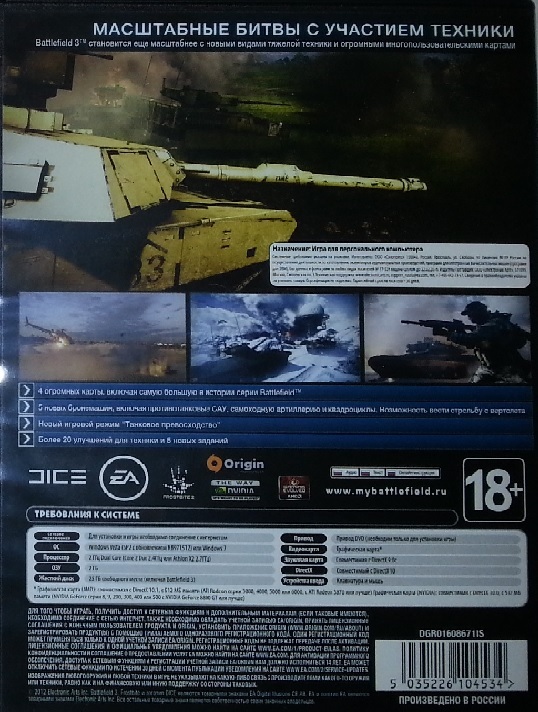 Download and install the addition of Battlefield 3: Armored Kill. 4. Make sure that Battlefield 3 has been updated to the latest version. 5. 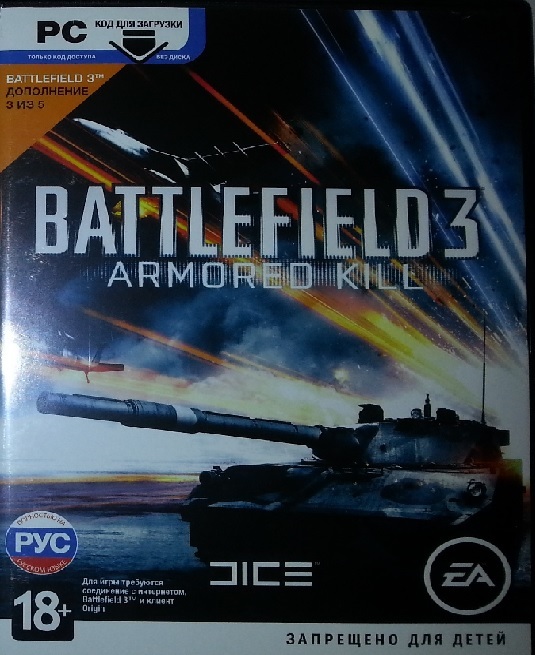 Maps of Battlefield 3: Armored Kill will be available in your list of Battlelog. Applies only in electronic form.